Some devices that CoreELEC supports have a VFD similar to the TX3 Mini as shown below. Many of these are supported in our builds thanks to @TheCoolest. To get these working is really easy. Goto Arthur’s VFD repository here. Download the configuration that matches your device and rename it to vfd.conf. Copy the vfd.conf to /storage/.config on your device. Install OpenVFD Service via the CoreELEC repository in Kodi. There is only 1 device at present, that requires the use of a custom DTB which is the A95X-R2 and this can be found in the device_trees folder on your sd-card/usb drive. :question: Which DTB do I use? A MILLION thanks for this information. I never thought I would get my front clock working without the original firmware. I have the M82. Any way to get the display to show a 12-hour versus 24-hour clock? Settings inside CoreElec are set and display time in 12-hour format. Thank you. There is no support for 12H/24H selection at this point. Then 24 hour clock it is. I am VERY happy to have my clock back! Thank you sooo much for the hard work you did to put all of this information together. Much appreciated. Is there a wy to show local time instead of UTC? UTC? It uses the system time. If your box doesn’t have the correct time, it won’t show correctly on the VFD. 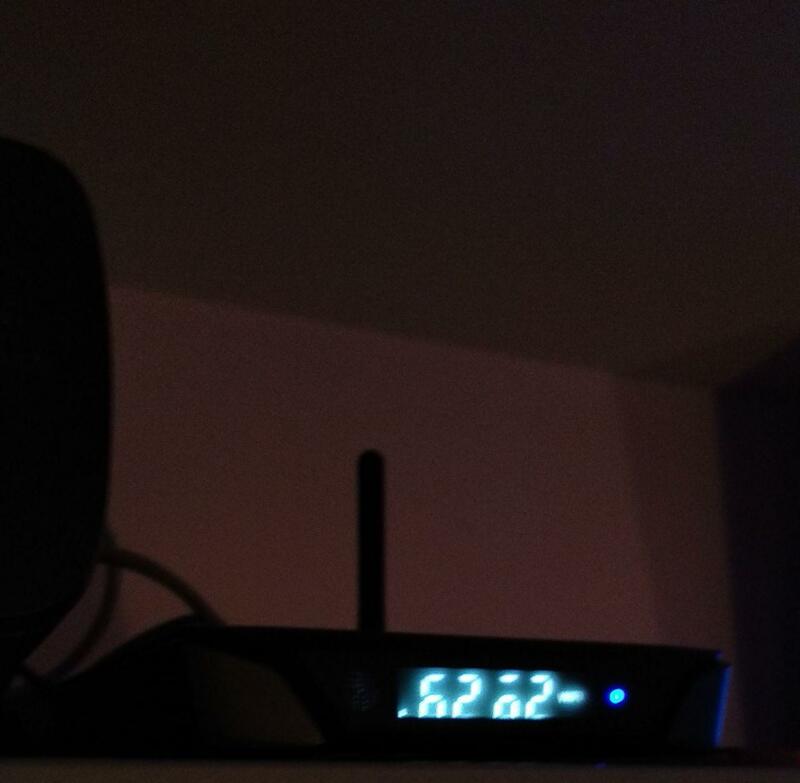 I had different timezone in kodi & system. I had no /storage/.cache/timezone file. So I just did echo "TIMEZONE=Europe/Moscow" >> /storage/.cache/timezone and everything became OK after reboot. I have a Alfawise S95 box, and I installed Coreelec 8.90.4 . I have tried all the dtb’s in the memory card, but the box is allways displaying “boot”. Is there anything that I’m not doing right? You only need the regular DTB from CoreELEC SD card for your SoC, don’t use any other DTBs. If you tried a few vfd.conf files and it still isn’t working, I’ll need the DTB from the Android installation. Edit: I just found a disassembled image of the box, it looks like a rebadged TX3 Mini. Try the vfd.conf for the tx3 and see if it works. First, Thank You! I was tired o the Word “Boot” on the display. Second, If anyone owns a Alfawise S95, just use the TX3 Mini dtb.img and vfd.conf, it’ll work perfectly. Just purchased a TicTid X9T Pro (S912, 3Gb, 1Gb NIC) and it has been working well with CoreElec. Tried using tanix-tx9-pro-vfd.conf for clock display and it shows a couple of alpha numeric characters and zeros. Tried a couple of others with the same results. # This file must be renamed to vfd.conf and placed in the /storage/.config/ folder. #  0 = &gpio, 1 = &gpio_ao. #  Reserved - must be 0. [ 16.288275@0] OpenVFD: Detected gpio chips:	ao-bank, banks. Try this vfd.conf and let me know if it works or not. Sorry for the late reply, please try this config and see if it looks any better. It shows like this. I’m sorry for the quality. Reboot after change to see the effect.